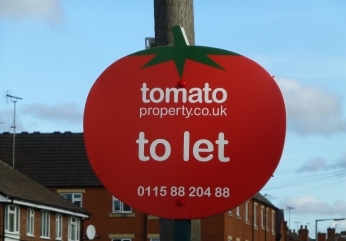 The owners of Tomato Property have managed successful property portfolios for a number of years in the Nottingham / Derby area. In doing so, we know only too well the need for getting good sound advice from people that care about you and care about your investment. We provide a service that is second to none. 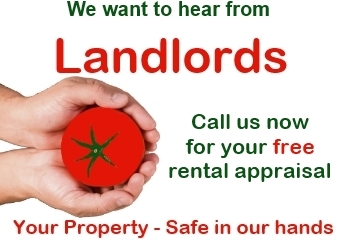 However do not just take our word for it, give Tomato Property a try for yourself! We live in a world where online presence is huge. By giving clients and prospective clients a name that is easy to remember, Tomato Property will ensure that both landlord and tenant alike, find us with ease. 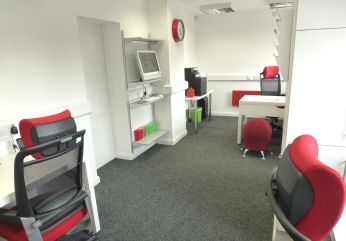 Modern fully staffed offices, with large free car park. Local 0115 standard rate contact telephone numbers. An emergency 24 hour telephone number for your peace of mind. Personal service, with you having one point of contact from the onset. Properties in Nottingham, Derby and all surrounding areas. Colourful eye catching ‘Tomato’ advertising boards. A referral system for landlords (earn up to £100 for referring a NEW landlord). Tenant find only or fully managed (two options). Free no obligation rental appraisal. Seamless migration process. Your agent not coming up to scratch? Well do not worry, we will deal with your present agent for you. A clear and concise up front fee structure. Full welcome pack for both landlords and tenants. A Tomato Property branded folder that will include all paperwork and documentation relating to the property.